A large SUV that holds seven passengers while remaining fuel efficient, the 2018 Mazda CX-9 exceeds all expectations. The recipient of multiple awards and accolades, it's an all-around great package. Voted AJAC's Best Large Utility Vehicle in Canada for 2018, it's obvious that we are not alone in this thinking. In fact, Auto123.com voted it 2017's Midsize/SUV of the year. At first glance, the CX-9 is far more attractive than it's rivals, especially minivans. Riding high on 18" wheels and equipped with LED headlights and front grille lighting, it's sharp looking, while also appearing stately and refined. Open the door, and you'll be pleasantly surprised at it's roomy interior. All seven occupants will ride comfortably, enjoying not only plenty of space, but also three-zone climate control. Legroom in the second and third rows are outstanding. We suggest taking a test drive of the 2018 Mazda CX-9 in Cornwall, by bringing the family down to Cornwall Mazda and piling everyone inside. You'll discover first hand just how comfortable it really is. 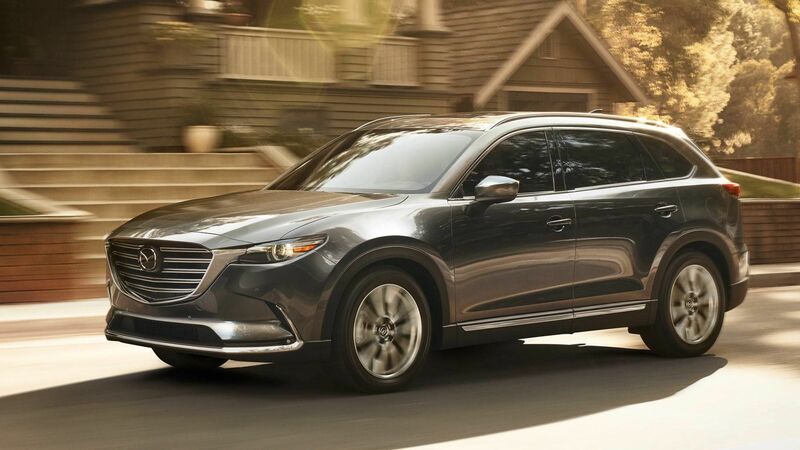 Powered by the SKYACTIV-G 2.5 T 4-cylinder turbo engine that produces 250 horsepower (with 93 octane fuel) and 310 lb-ft of torque, the CX-9 is more than capable of keeping you from being stuck in the slow lane. Fuel economy is outstanding for such a large vehicle. The CX-9 sips as little as 8.4 L/100km on the highway. Equipped with award-winning G Vectoring Control, drivers will feel a greater sense of connection with the vehicle and occupants will experience less fatigue and a more comfortable ride. The vehicle's i-activ AWD system involves 27 sensors that monitor your driving 200 times per second and react accordingly. An example of this is the windshield-based rain sensor that adjusts for traction when it senses rain. 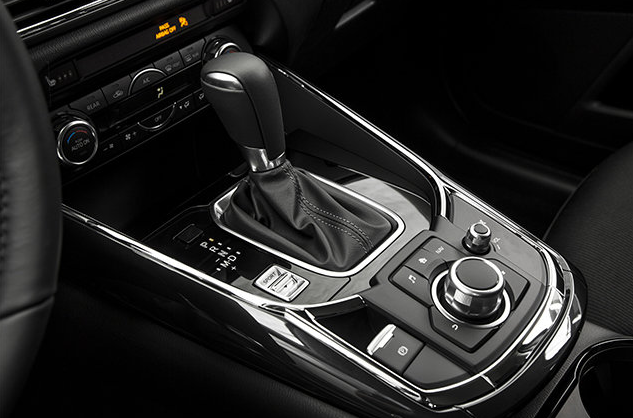 With four trims to choose from, there is a CX-9 to suit your lifestyle. The base model, the GS, is nicely equipped with everything you need. It comes with an 8-way power-adjustable driver's seat, heated front seats, a 7" touchscreen display and Advanced Blind Spot Monitoring with Rear Cross Traffic Alert. The GS-L takes things up a notch with front wiper de-icing, leather-trimmed seating, an 8" screen, a height-adjustable power rear liftgate and power glass moonroof. Elevating to the sporty GT model adds 20-inch wheels, aluminum door and dash trim, a 12-speaker Bose premium audio system and front & rear parking sensors. Finally, the Signature edition is top of the line. It adds Nappa leather seating, natural wood trim and Signature grille illumination. On the safety front, the CX-9 is no slouch. Chosen as an IIHS Top Safety Pick, you'll drive confidently, backed by state of the art technology. All models, even the base are equipped with Smart City Brake Support and numerous advanced safety features and driver assistance systems are available; some included as standard equipment, others optional. 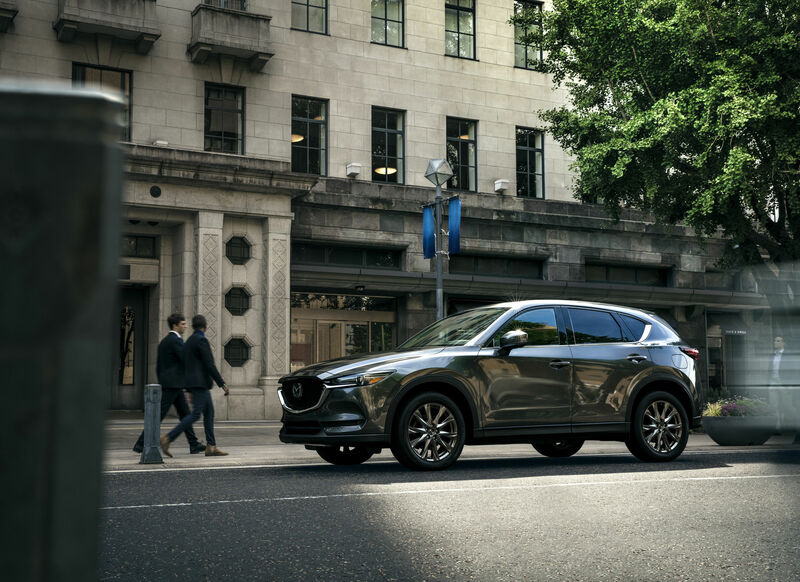 The 2018 Mazda CX-9, available in Cornwall at Cornwall Mazda is roomy, great on gas and an all around great family hauler. The winner of numerous awards, it seems we're not the only ones who think so.